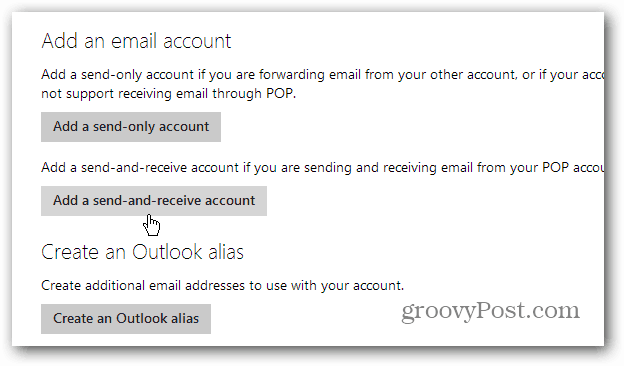 Windows 8 Mail doesn’t support POP3 mail servers, even though it’s an option when adding an account. But you can work around the problem using Outlook.com. 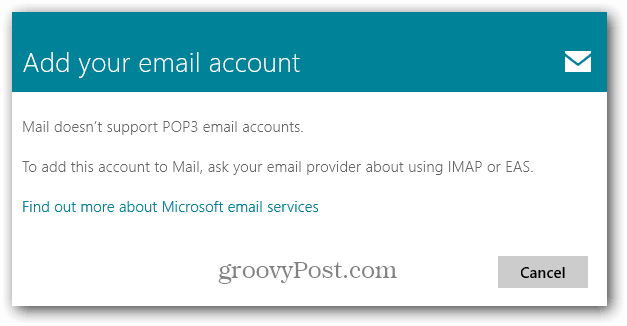 The Windows 8 Mail app doesn’t support POP3 mail servers, even though it’s an option when adding an account. If you want to add a POP3 email account from your ISP, you’re out of luck. 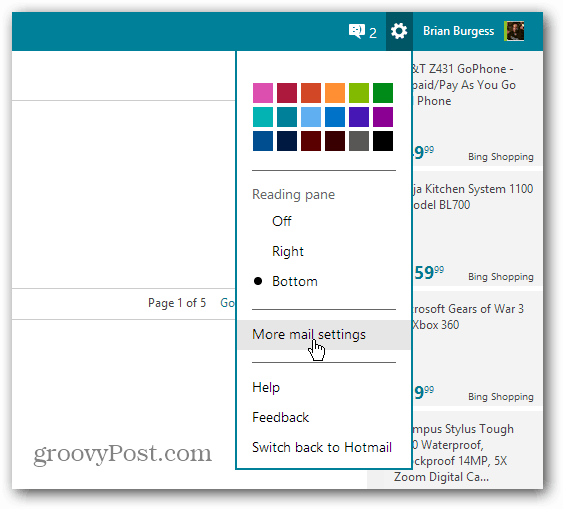 Here’s a workaround for the problem using Outlook.com. If you try to add a POP account, you just get the following message telling you to ask your email provider to switch to IMAP or EAS. Good luck getting your ISP to make the switch! 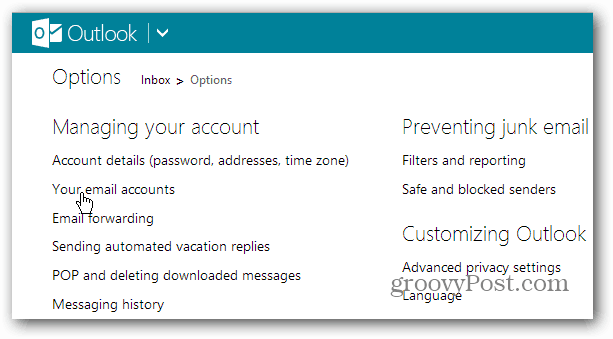 Log in to your Outlook.com account and click Options (gear icon) and select More Mail Settings. From the Options screen click “Your Email Accounts” under Managing Your Account. 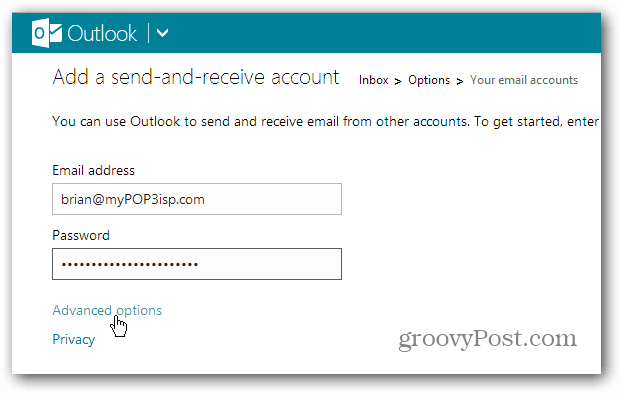 Under Add an Email Account click the Add a Send-and-Receive Account button. Enter in your address and password from your ISP then click Advanced Options. 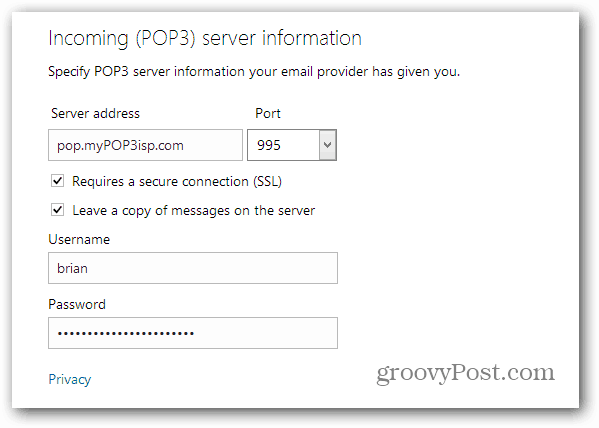 Enter in your POP server address and configure the correct Port number and to use SSL or not. You might need to contact your ISP to get these details. After the new account is added, create a new folder for it or just have the messages sent to your inbox. 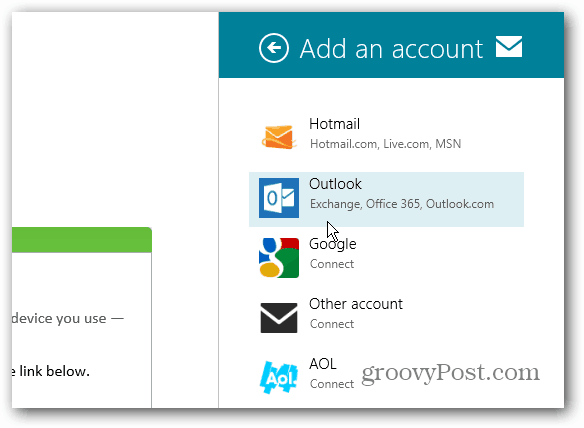 Now all you need to do is add the Outlook.com address to the Mail app. 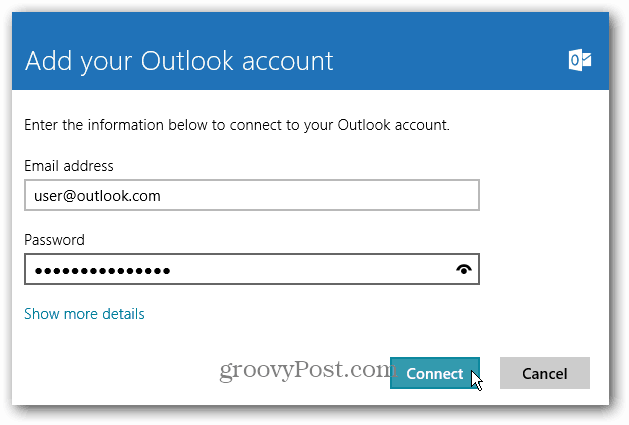 Check out our article on how to add an Outlook.com address to Windows 8 Mail. 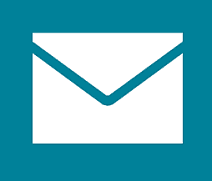 If you’re running Windows 8 or Windows 8 Pro, you can install an email desktop client like Outlook, Windows Live Mail, or Thunderbird to get email from a POP account. But with Windows RT, that isn’t an option since it doesn’t allow you to install desktop programs. Why not use Skycap Mail? It does both POP3 and IMAP for an unlimited number of accounts.